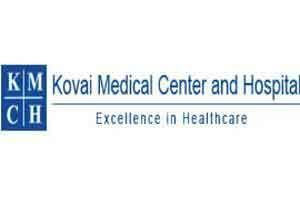 COIMBATORE: A state-of-the-art Cardiac Care Centre of city-based Multi-speciality Kovai Medical Center and Hospital (KMCH) was inaugurated on Sunday. The “KMCH City Centre’ is a 25-bedded facility with an outlay of Rs. 25 crore, with most modern Cath Lab and other sophisticated medical equipments, KMCH Chairman Dr Nalla G Palanisamy said. The centre has a cardiology department and cath lab besides other speciality departments like ENT and pediatrics, he said.